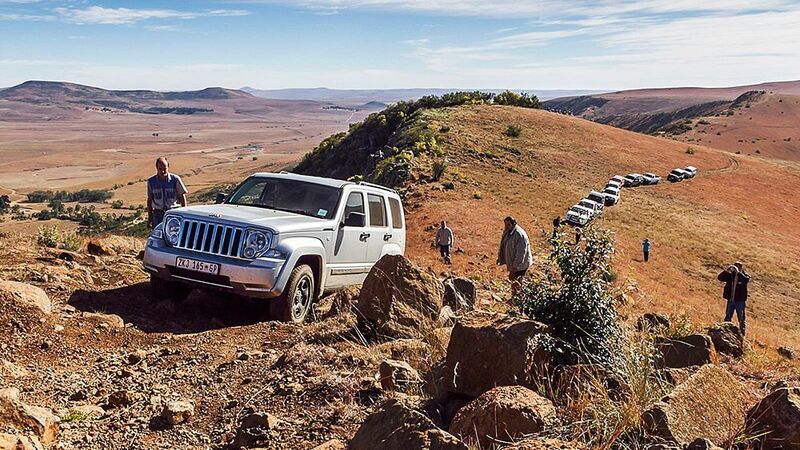 South Africa is a fantastic destination for anyone who wants to get back to nature from behind the wheel of a 4×4. It also has some exciting routes that give you the chance to get into history – and maybe even meet a few ghosts. Some tracks are guided, others are not, and a few take you through areas for which you need an easily organised permit. What’s more, if hiring a 4×4 is not possible, there are off-road clubs and tourism companies that include a few of them among the excursions they offer, so you can still follow ox wagon trails and explore ruined forts in terrain that will take your breath away. Located near the town of Heidelberg, the Spookspruit Trail is guided, and for good reasons. It is a challenge, even for experienced drivers. The trail features narrow trenches and riverbeds, as well as inclines, declines, and areas capable of denting vehicles and egos. The scenery is beautiful and the views sweeping, but perhaps even more captivating are the odd relics of Anglo Boer War battles fought there more than a century ago. Those battles are said to be the reason some people who have done the trail claim to have encountered ghosts along the way. Another guided route, the Roodedraai Battlefield Trail also takes you back in time to the Anglo Boer War. Some of the conflict’s most famous battlefields are visited on the trail, such as Majuba, Korenplaats, and Allemansnek. The route is approximately 100km long. In addition to the sites of bloody battles, it also visits historical graves, caves that offered shelter to women and children, and the Roodedraai Museum. There you can enjoy a meal of bread freshly baked in an outdoor oven, preserves, jams, and traditional sweet treats, and take a short break to Instagram your photos or play a few games of online blackjack on your mobile device. Vast landscapes and vaster seascapes meet on the Northern Cape’s Diamond Coast. Following the Shipwreck 4×4 Trail is the perfect way to become better acquainted with it. Rocky and sandy, the route is a challenge. It offers views of the rusting hulls of ships, lets you explore seaports, introduces you to First Nation people, takes you into the desert, and sometimes even lets you see it bloom. Set off on the trail from Noup, which you will find between the towns of Koingnaas and Kleinzee. Located in the Cape Fold mountains, the Attaquaskloof Trail is one of the best in the country. The track offers challenges such as steep climbs, and will take you into the Attaquaskloof Nature Reserve. The trail also is one of the best way to explore some of the history of the area. Part of the route is the historic ox wagon trail that was laid down when Ensign Isaac Schrijver of the Dutch East India Company made the first crossing of the mountains in 1689. You also can see an old Boer blockhouse, historic farmhouses and cottages, and much more.